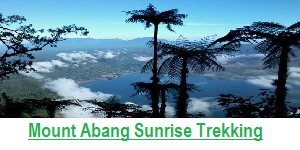 …ascending Bali’s live volcano – Mount Batur. Well, Going on a tour climbing the 1,717 meters summit of one of the active volcanoes in the tropical island of Bali was actually my best experience and certainly I will not forget it for a life time. Moreover, it was really something that I wanted to do in Bali when I backpacked here 3 years ago but unluckily I ran out of time to do so. 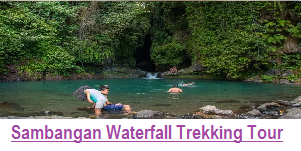 No doubt to say that when I found out I was to be returning to Bali – climbing one of the popular peaks of Bali was at the top of my list of activities while I was in Bali Island. The sort of epic adventure began with a 1 a.m alarm and a 1.20 a.m departure from our villa in Goa Gong, Jimbaran where we got a taxi to the base of the volcano – It is a village called Toyabungkah (which is located right next to the Batur Natural Hot Springs). There we were with nothing but just a simple of mini torch for each of us to illuminate the dirt laden pathways that stood before us; we listened carefully to our guides giving some information and instructions before we went beginning the ascent hiking up the active volcano. Considering the nature and landscape of Batur mountain, it is highly suggested you book and complete the hike with a guide, due to the difficulty and confusion that accompanies the darkness at 3 am in the morning. It is important information that every hiker should be mastered. 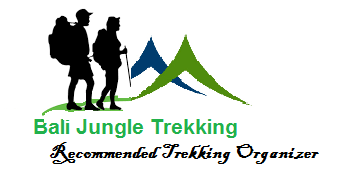 Such as technique and procedure of climbing which are useful and even vital for inexperienced hikers. This guiding is intended for your safety , so that the goal could be achieved perfectly without any problem at all. 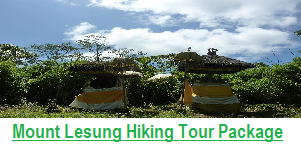 At that time our climb and transport was already included in a retreat I was on, so I can’t recommend a booking place from my personal experience but I know you will be able to reserve on a tour wherever you are in Bali, e.g. 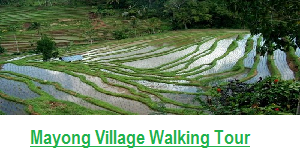 Ubud, Seminyak, Lovina and other places. During the trek we engaged our glutes at 4 am and powered on up for 2 hours at a consistently steep incline all the way, with just what I called a ‘flat relief’ every more or less 20-30 minutes. And then approximately half way through the ascent, the road does split into two and you are to choose between a harder and easier track. For more challenging you can follow the difficult way but both with very similar views from the top, another one is just more physically challenging than the other. For the sake of Ever up for a challenging trip, all of us agreed on the harder route and conversation soon turned to silence as all of us panted for new breath. After about an hour in, then we bypassed the clouds and a glance over my shoulder grant me one of the most magnificent views I have ever enjoyed witnessing. Here we are now; we have all seen clouds before, perhaps in the sky or on a plane. However, to take a breath in the fresh crisp mountain air and looking down upon a thick marshmallow like duvet of clouds in the flesh is just something else that has amazed me so. What is really amazing is that it is very wonderful for my experience that I have never seen before. It is really impressive for me. The panorama of the blanket of stars that looked down upon us twinkled like my eyes as I turned back to the path for the final leg of the climb. It was so dramatic with many a glance over my shoulder in the meantime, we reached the peak with beaming grins as we reflected on the distance we had just covered. The moment when you get to the summit, for refreshing our energy there are plenty of old benches and areas. This was the place to rest up whilst locals serve everything from teas + coffees to banana sandwiches and boiled eggs. Believe in me – you will work up an appetite! What a panorama! The sun rise was positioned perfectly in front of us. Moreover, the absence of clouds blocking the views (because we were above them) made for THE most stunning transition of oranges, reds, and pinks until the sun lit up the sky once more. Approximately after an hour or two admiring the views and taking some photos (obviously), then we descended back down to the base and dipped our toes in the Hot Springs for about two hours. 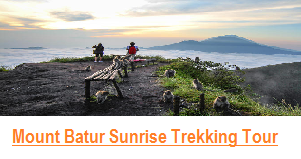 Now let me tell you what they offer at Batur Natural Hot Springs. At this place they offer massages and serve food including fish and chips with fresh fish from the lake. The quality of food here did not impress me at all but I’d definitely recommend the foot massage and soak in the hot springs – the perfect post climb therapy! Above all, even though I had seen a lot of photos of the climb from friends’ posts on social media, you just can’t beat witnessing the sunrise and soaking in the atmosphere for yourself. The things that you MUST DO if you’re in Bali! 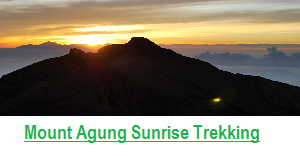 As I mentioned above, you will be best off trekking Mount Batur with a tour guide. It is so inexpensive, it is a no brainer! Most tour operators through which you will book will offer you a free pick up from your villa/hostel/hotel where you stay in Bali. The choice is yours. You can either do the hike by itself or, a lot of tour providers add in another element of adventure afterwards, including: Coffee Plantations (seeing to witness how Coffee Luwak – the world’s most expensive coffee is made on the spot). – For your comfort. Take an extra layer as it will be a little chilly until the sun rises! – Last but not least, REMEMBER YOUR CAMERA!